Halloween comes only once a year, so it is the special occasion that should be celebrated with lots of people by holding a Halloween party. 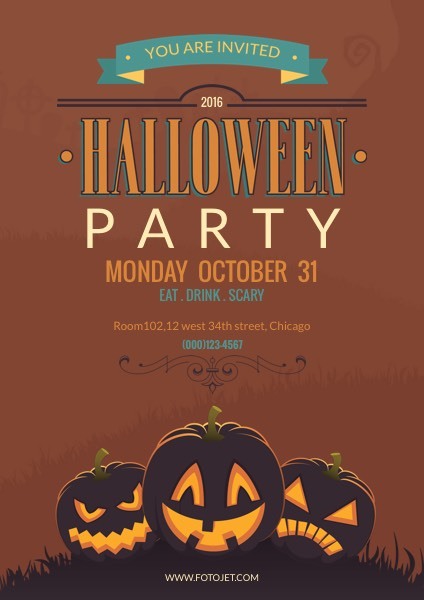 FotoJet sees your needs and provides customizable Halloween party poster template like this one. Its stunning design and pumpkin images will help you make Halloween posters that are certain to lure all the viewers! Add details about your event to make your own Halloween party posters, then wait for the guests to arrive in droves!